You remember the #EpicTampaBreweryTour from earlier this year right? 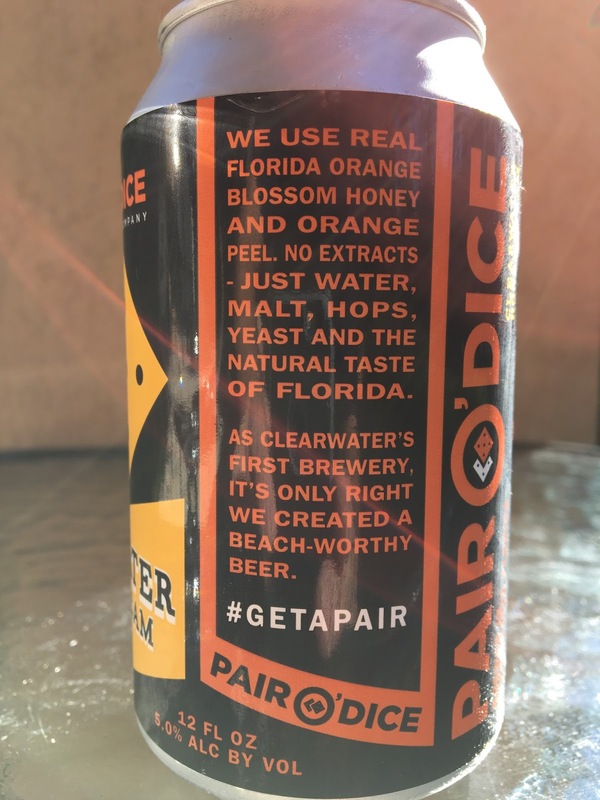 And the awesome stop at Pair O' Dice Brewing in Clearwater? 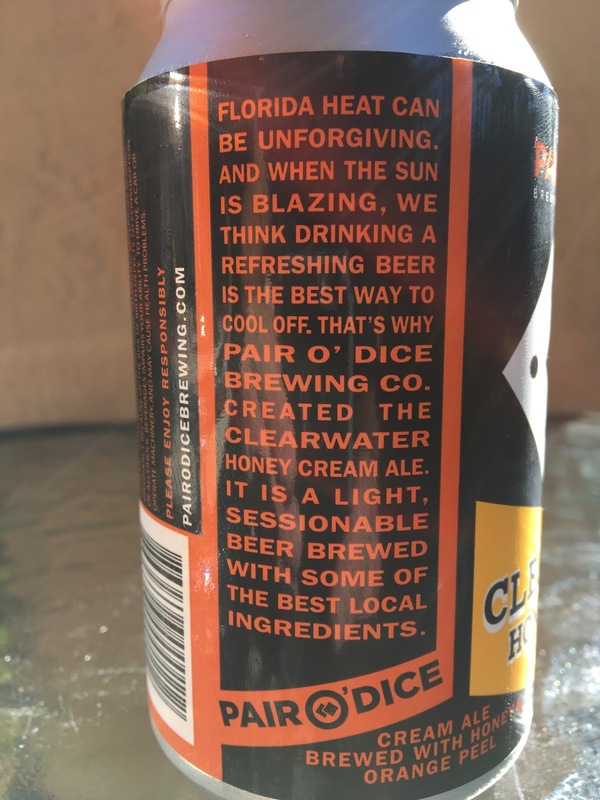 Well, one of their signature beers, Clearwater Honey Cream, is now being canned and shipped over to Miami now. So I grabbed some! The brewery opened on Halloween, 2013, and this Saturday they are actually having a dual birthday/spooky party to celebrate! 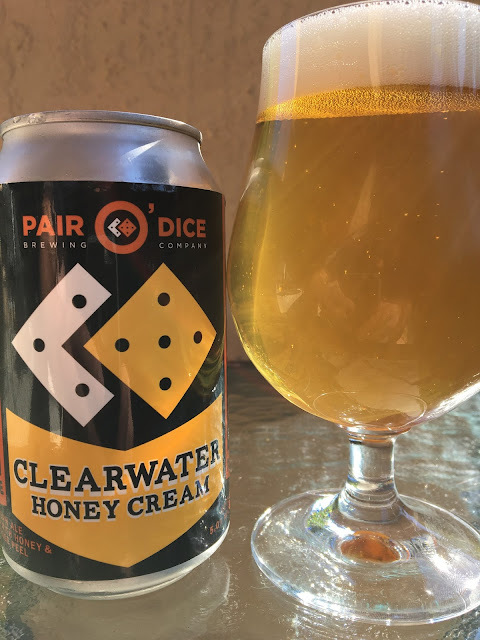 Clearwater Honey Cream is brewed with local Florida orange blossom honey and oranges to create a refreshing sessionable beer. 5.0% alcohol. #GetAPair at Clearwater's first brewery! Pleasant honey sweet aroma with hints of orange and grain. Great honey flavor with plenty of citrusy orange. Not overly sweet and plenty of hoppy balance. There is some sharp and prickly action on the palate that enhanced the flavors as well. Crisp, very refreshing. Definitely check it out!